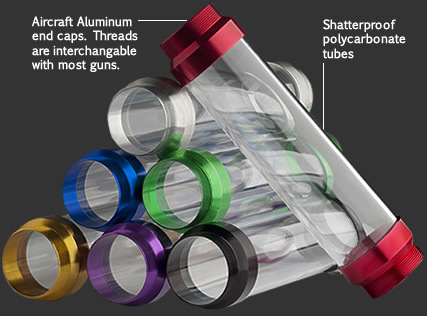 Manufactured from shatterproof polycarbonate with silver anodized aircraft aluminum end caps. Standard thread design on end caps are interchangeable with most grease guns. Made in The USA.